You’ve been on the FODMAP elimination diet for a week or so and things are going great, but then a friend invites you to dinner or your boss offers to take you out to lunch. 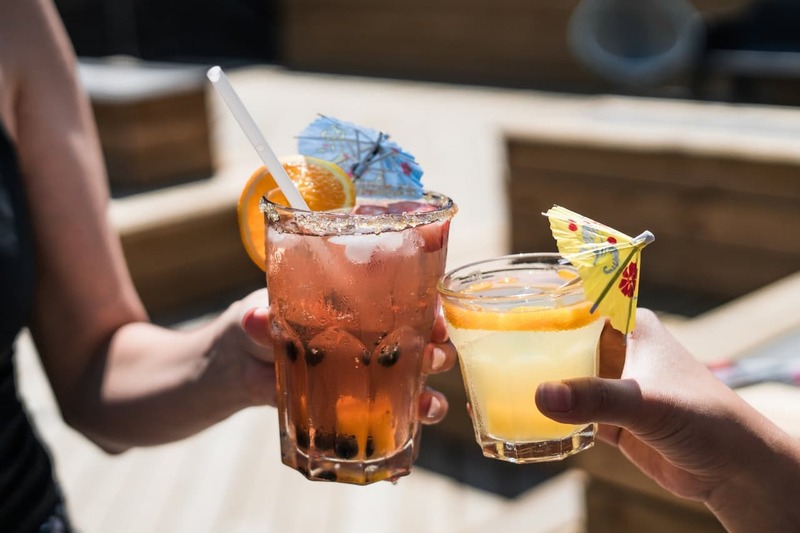 Following the low FODMAP diet when going out to a restaurant can be daunting, but that doesn’t mean you have to miss out on the pleasure of dining out! With a little bit of prep work, you can enjoy dining out on the low FODMAP diet. Calling ahead, researching the menu, and arming yourself with the right questions will ensure there’s something on the menu you can enjoy. 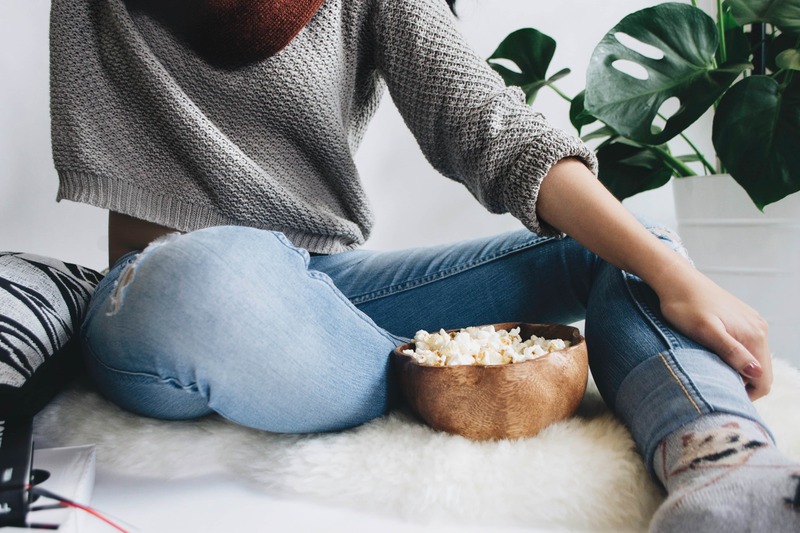 Plus, being prepared can reduce anxiety or stress, which can exacerbate IBS symptoms for some people. Check out the menu online – many restaurants have their menus available on their websites. 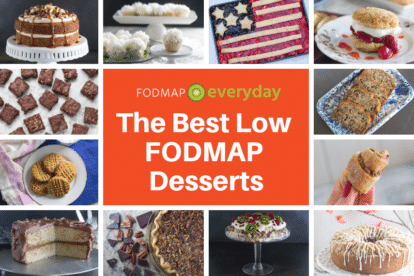 Scope out some dishes that appear to be low FODMAP. 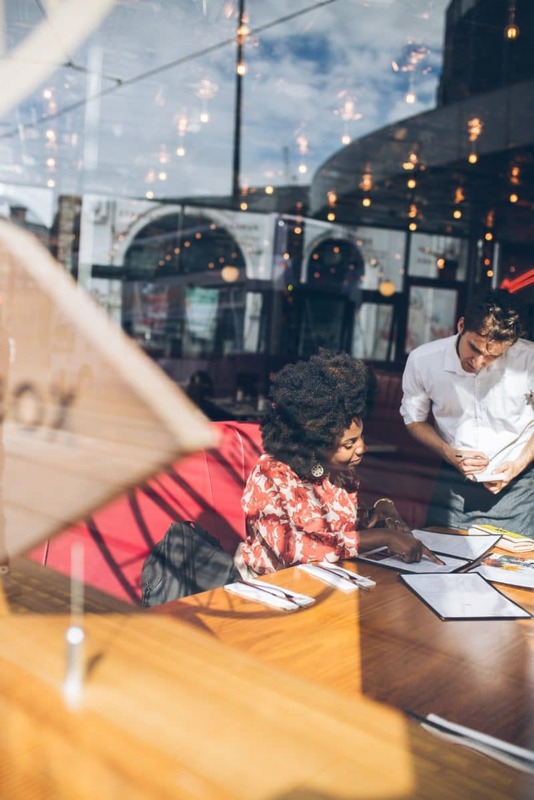 Call ahead – Even if you can access the menu online, it’s helpful to give the restaurant a heads up about your dietary restrictions. If they don’t sound accommodating, you may want to find another restaurant! Consider restaurants that cater to gluten-free and/or dairy-free diets, which may have more suitable options. Keep the rest of your meals during the day as low FODMAP as possible to reduce the cumulative effect of FODMAPs on GI symptoms. Waitstaff, chefs, and managers want diners to have a pleasant experience in their restaurants. Plus many servers nowadays are aware of dietary restrictions and will ask if diners have any allergies or restrictions. This is a great opportunity to kindly notify your server of your needs. Be polite and friendly, and if you’re comfortable let them know that these restrictions are due to a medical condition and that those foods can make you sick. In addition to the items you can’t have, give your server an idea of the foods you can have. List proteins, vegetables, fruits, grains, nuts and seasonings that are low FODMAP. If he or she suggests a few options, make sure to ask about any additional sauces, dips or marinades. 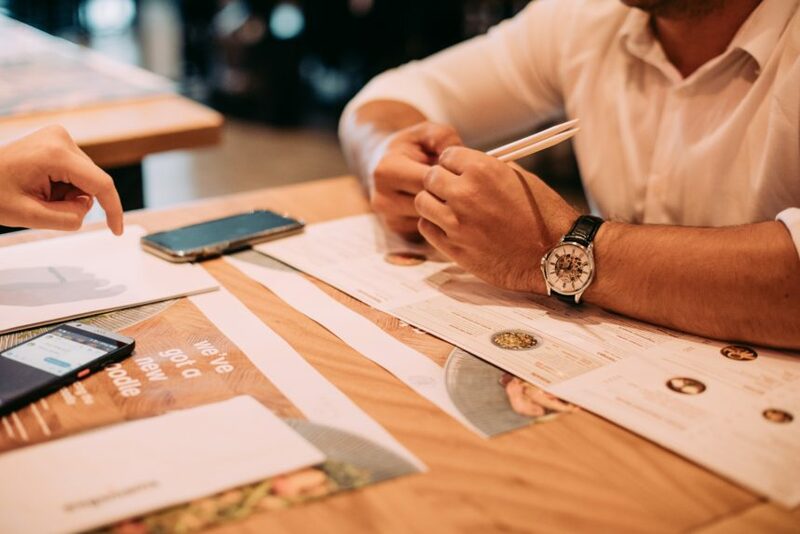 Taking a written list of what you can’t have with you to restaurants takes the pressure off of you to remember everything, plus servers can share the list with the chef to verify ingredients in a dish. 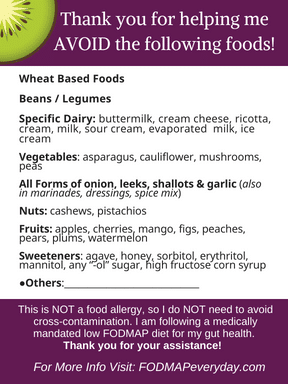 FODMAP Everyday® has a card you can print and keep (see below!) in your purse or wallet. Also keep your Monash University Low FODMAP Diet app handy, if possible, for both your own peace of mind as you peruse the menu as well as for any unusual ingredients that might pop up. Probably the most common FODMAPs on restaurant menus are garlic and onions. Sometimes it feels like they’re in everything, regardless of the cuisine. Make sure your server understands that this includes white, yellow and red onions, shallots, garlic salt and garlic and onion powder. To steer clear of these ubiquitous fructans, ask about sauces, salsas, dips, marinades, and mixed dishes like soups, stews, meatballs, dumplings, etc. Remember, the low FODMAP diet is not gluten-free or dairy-free so unless you avoid those foods for different reasons, you can have wheat/gluten and dairy in smaller quantities, such as aged cheese in a salad, soy sauce with sushi, or a slice of authentic (slow-fermented) sourdough bread. If that is too confusing or complicated, you may wish to tell the server you do not eat wheat, dairy, garlic or onions to simplify things. Also remember that you do not have to worry about cross-contamination, so if a burger comes on a wheat roll and has slices of onion on it and you forget to tell them to leave those behind, you can simply unpack that burger and still enjoy it. Grilled or roasted fish, chicken, pork or beef with low FODMAP veggies (eg green beans, zucchini) and rice or quinoa. Avoid marinades or sauces unless you can find out the ingredients. Below are tips for ordering and low FODMAP dishes at Italian, Mexican and Indian restaurants. 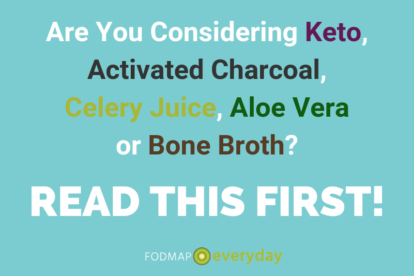 The recommendations above are for the most restrictive low FODMAP diet. 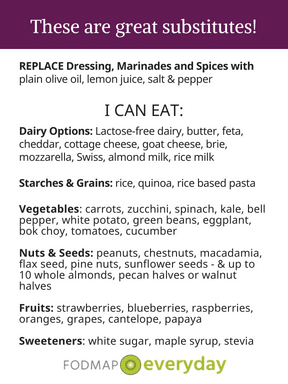 Dining out on the low FODMAP diet does get easier, especially after the Elimination and Challenge/Reintroduction phases. After reintroduction you may find that you’re not sensitive to the fructans in garlic or onions, or that you can tolerate a small amount, in which case a few spoonfuls of salsa on your tacos or Caesar dressing on your salad may be fine! 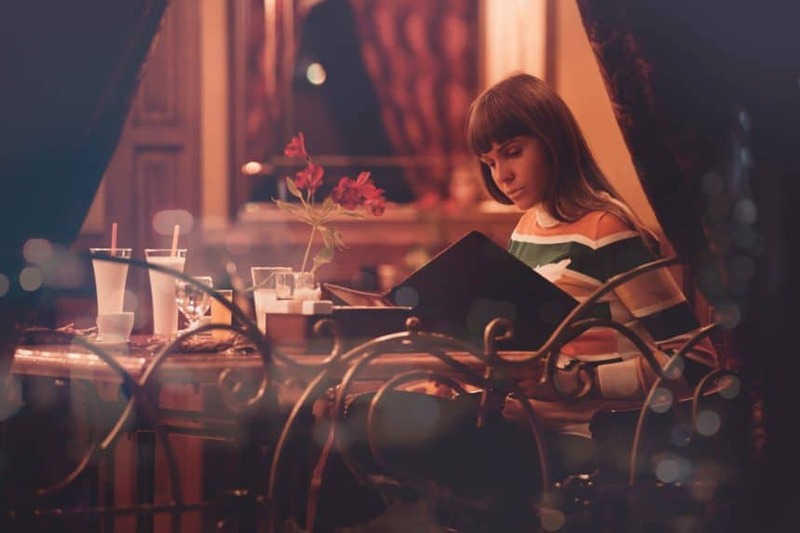 You know your body best and as you become more aware of which foods cause your symptoms, you’ll be able to make more confident decisions when dining at a restaurant. 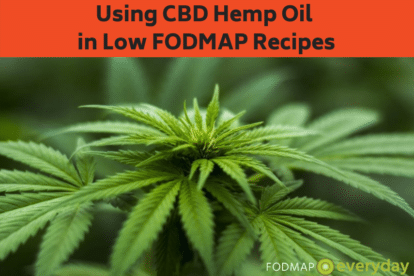 Also, keep in mind one meal that may be higher in FODMAPs doesn’t mean you’re going to have an adverse reaction, so relax, enjoy your meal, and stick to low FODMAP meals before and after. See our TOP 10 STRATEGIES FOR EATING OUT ON THE LOW FODMAP DIET.